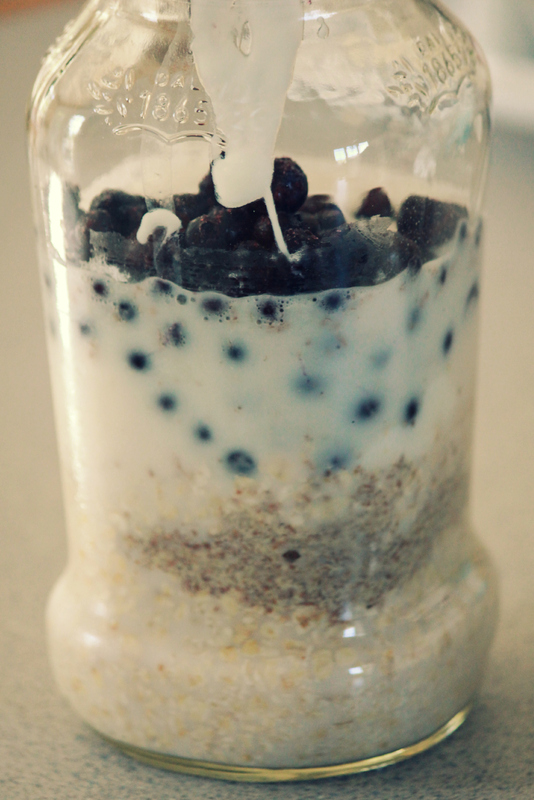 This is the perfect on the go breakfast, it is easy, delicious and has many health benefits. Packed with lots of goodies to keep you full and full of energy. 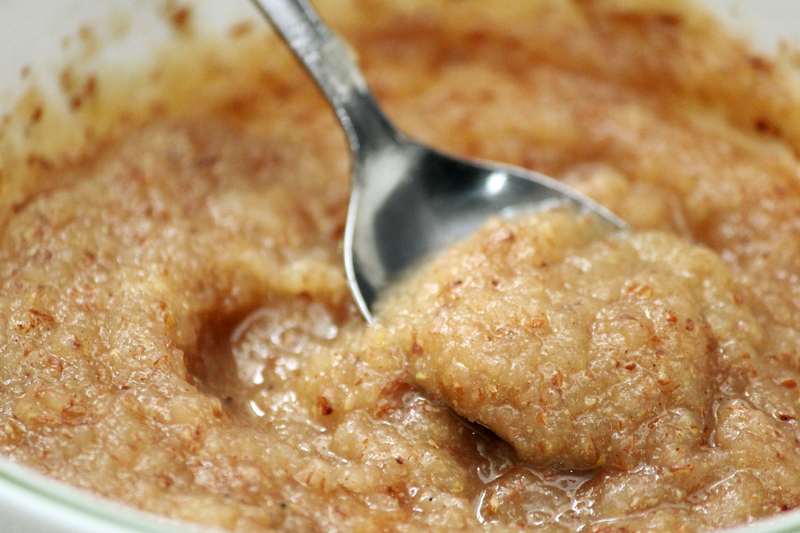 There are many ways to make this, and it is called by many other names (such as refrigerator oatmeal, no cook oatmeal, cold oatmeal, cold porridge, etc). This is how we make it in our family, and it has evolved into more of an ” oatmeal drink” to have in the car on the way to work. It would also be great to have a little at lunch time to make it through the afternoon slump. I like to put my dry ingredients into the jar first, the oatmeal and flax-seed, then I add the milk, yogurt, honey and blueberries. Shake until fully combined. Pop it in the fridge and you are good to go, just grab the jar on the way out the door in the morning. 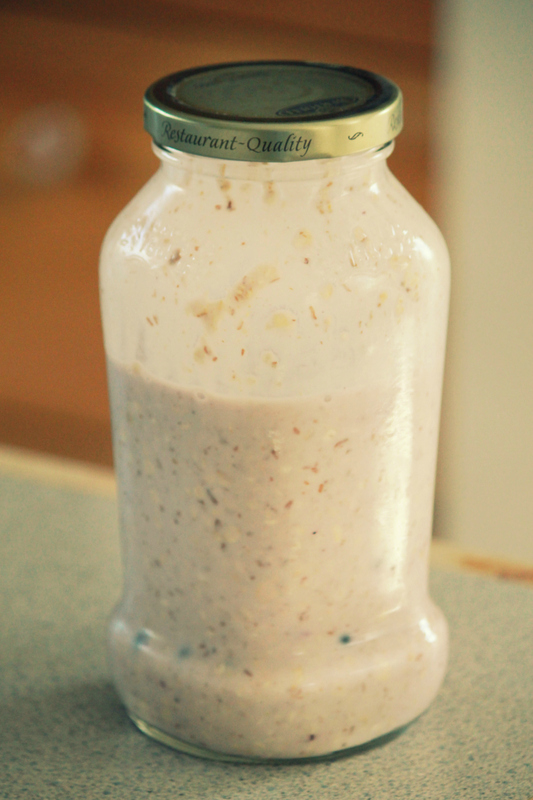 It will have the consistency of a nice thick smoothie and you can just drink it straight from the jar. 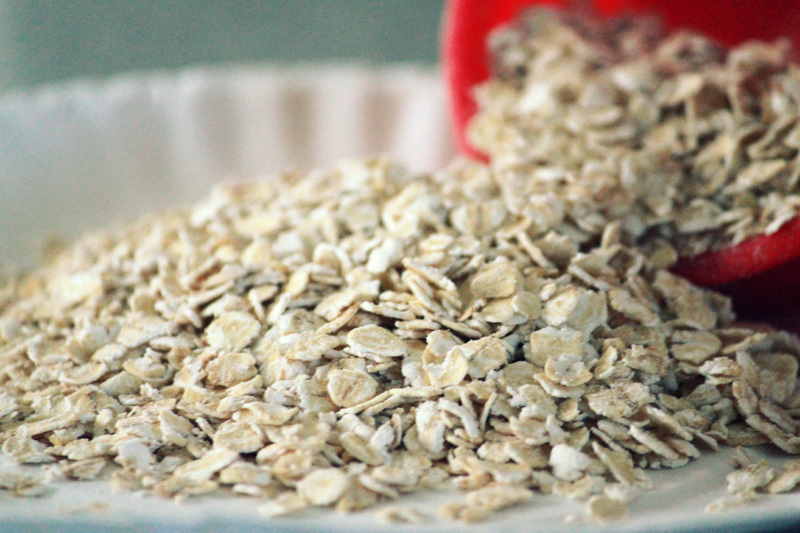 Oatmeal- Contains vitamins, minerals, antioxidants, protein and tons of fiber. It keeps you full, boosts your immune system, lowers cholesterol, stabilizes your blood sugar and may actually reduce your risk of cancer. Yogurt- Just like oatmeal it contains protein, lowers cholesterol, and boosts your immune system. It is a great source of calcium and actually increases the absorption of calcium and B vitamins. The yogurt also helps break down the phytates in the oatmeal which make it easier to digest. Almond Milk- Contains fewer calories than cow’s milk, loaded with vitamins (such as A, D & E) and calcium. Raw Honey- Anti-bacterial, anti-viral, and anti-fungal, helps boost the immune system and destroys free radicals in the body. Also aids in digestion and may help to prevent cancer. Blueberries- Loaded with vitamins & antioxidants, blueberries also help boost you immune system. Like honey it also helps to get rid of free radicals in your system. Shown to help your vision, urinary tract health, heart health, brain health and even a natural anti-depressant. Also may help to prevent cancer. That is a whole lot of goodness in one jar! My husband has this every morning for breakfast and loves the energy boost it gives him. When I eat this for breakfast it keeps me full into the early afternoon. Sometimes I can’t even finish it and will save the rest for the next day. As I said before there are so many ways to make this, so if you try this and it is just not for you then please try adjusting the amounts. You can even use flavored yogurt and come up with some great flavor & fruit combinations. We mostly stick with plain yogurt to avoid extra sugar but occasionally we switch it up. I hope you will give our version a try and let me know what you think, and/or let everyone know how you like to make it in the comments 🙂 Enjoy! Don’t let this tiny seed fool you, it is packed with many benefits. Flax seeds contain fiber, lignans, micronutrients, and essential omega-3 fatty acids. It has been shown to help lower cholesterol, stabilize blood sugar, prevent hardening of the arteries and may even be helpful to people with certain types of cancer. You can find a lot more information on health benefits and other uses here and here. 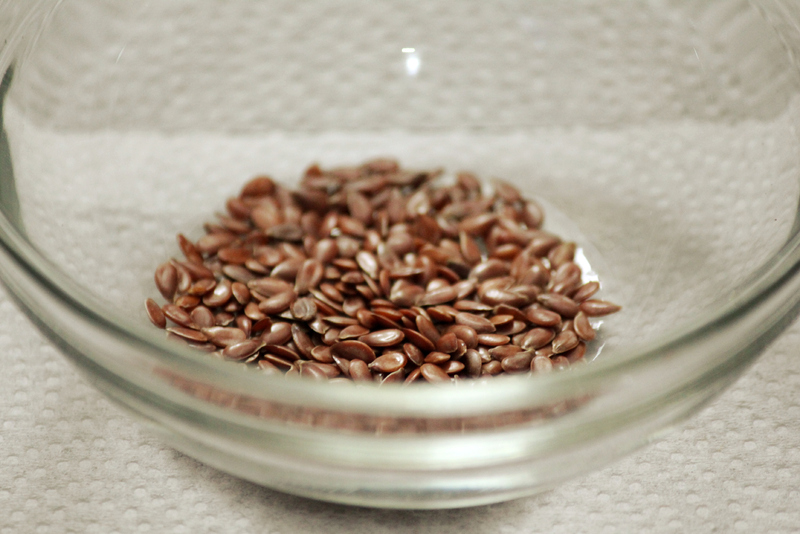 The best way to consume this amazing little seed is to grind it up, whole flax seeds will just pass through your system and you won’t get the benefits. 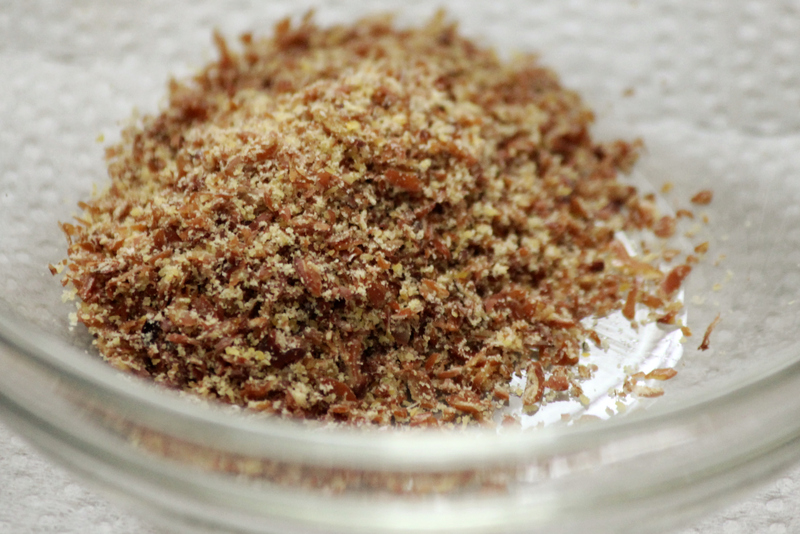 You can buy ground/milled flax-seed or you can grind it up yourself in a coffee grinder. It is best to store your ground flax-seed in the refrigerator or freezer to keep them from going bad. It is recommended to take 1-2 tablespoons daily. If you have never used ground flax before, or you are not sure how to get more into your daily diet have no fear! I have some great ideas for you, and you won’t even taste the flax in most of these. 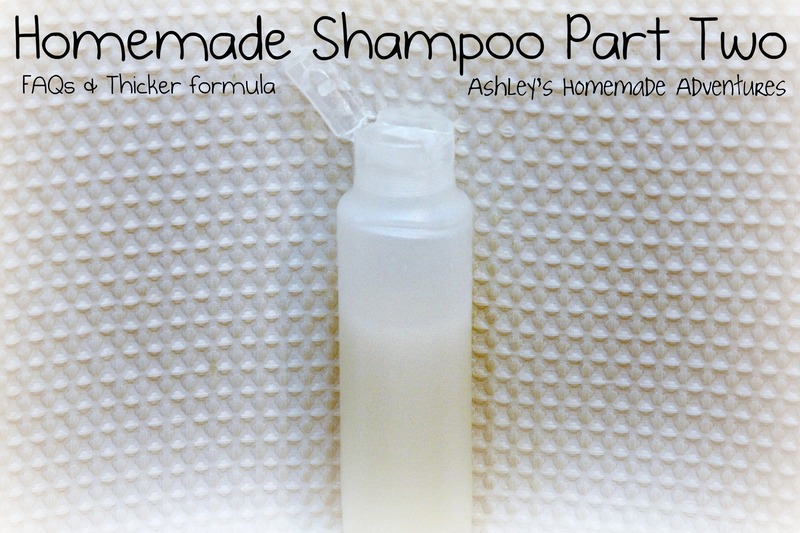 Since my homemade shampoo recipe is by far the most popular post on my blog, I decided it was time for a part two! I have had many questions on here, and facebook that I wanted to address and I also have some new ideas to share as well. First of all, I know some of you may be hesitant to buy a whole bag of xanthan gum just to try my shampoo recipe and I don’t blame you one bit! The good news is they sell little tiny packets of it! I found these in the baking aisle for less than 50 cents each! One packet has enough to make a gallon of shampoo, perfect for making a test batch 🙂 I have to tell you I was so excited when I saw these lol. 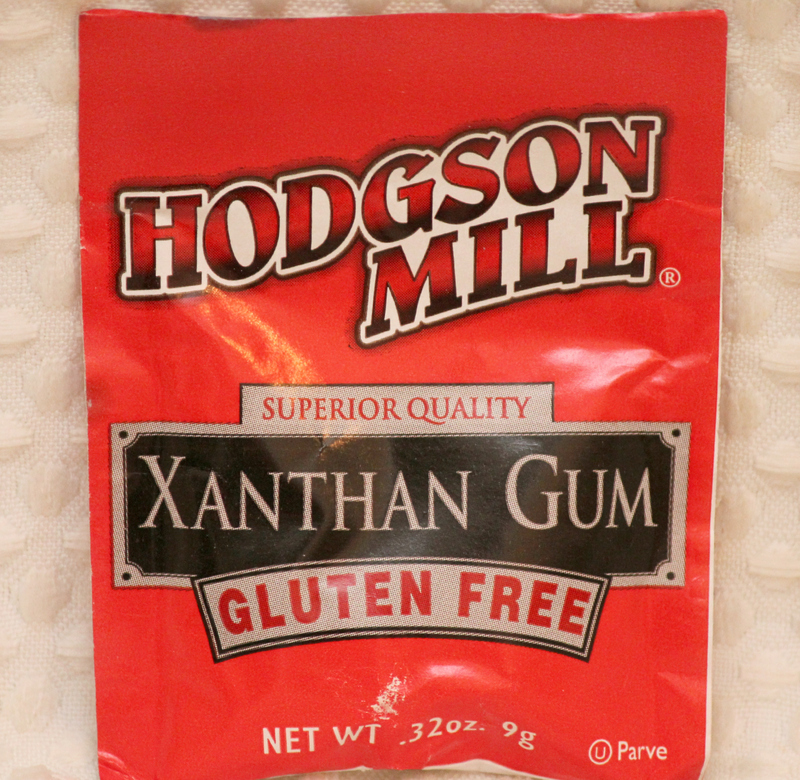 Seriously who gets excited over xanthan gum? I don’t blame my husband for occasionally shaking his head at me haha. A couple of people have mentioned to me that their hair did not feel quite clean after using this. There are a few reasons why you might have this problem. This shampoo will not strip your hair like the harsh detergents in store-bought shampoo. You may need to massage this into your scalp a little more than you would with your old shampoo, it is meant to be more gentle on your hair and scalp. I have also read about your hair/scalp having an adjustment period when you stop using store-bought shampoo. You can add a little extra castile soap and slowly cut back on the amount you use while your hair gets used to the new shampoo. If it is used to being stripped of oils, it is used to making extra oil to compensate. You may need a few weeks to adjust to this, but please don’t let this discourage you. If your hair looks greasy on the second day, simply brush some cornstarch through it. This will help absorb the oil and you can even add a little essential oil to the cornstarch first for a nice scent 🙂 I do not wash my hair every day, it is bad for your hair and frankly a pain. No matter what I use I still have the problem of my hair being a little greasy looking on the second day. Sadly some of us are just “blessed” that way. No store-bought product ever helped me with that issue either but my homemade shampoo does still get my oily hair clean. Another fairly common question is “How long does it keep?” I don’t think there is any set answer to this question. Honestly I think this really depends on how you make it and store it. If you boil your water first, use an essential oil that is anti-microbial and then store your extra shampoo in a dark, cool place I am sure that will help it last longer. I have kept mine under my bathroom sink for 3 months before it went bad. If you are concerned about this I would make a half recipe at a time, and I would also suggest smelling it before refilling your shampoo bottle for the shower. You will definitely be able to tell if it has gone bad or not. I wanted to add that it is NOT necessary to use tea. Since my original shampoo post I have made it with just plain water and prefer to make it that way now. It is easier, cheaper and works just as great. If you use water and unscented castile soap (like Dr. Bronners Baby Mild) it is better for children or individuals with sensitive skin 🙂 I have also made homemade liquid castile soap since my original shampoo post that you can use if you don’t want to buy or can’t find Dr. Bronners. I hope this information has helped clear up any questions you may have. If anyone has any other questions please feel free to post a comment and I will do my best to help you. I would also love to hear more reviews as well 🙂 This is still the only shampoo that we use and I don’t foresee us switching back to store-bought anytime soon! We have been very happy with it and I hope you will give it a try if you haven’t already. Add 13 cups of water to a large pot. In a seperate bowl mix together the remaining cup of cold water and cornstarch, whisk until no lumps remain. Pour cornstarch mixture into large pot with the water. Bring to a boil and whisk constantly for several minutes until slightly thickened. Remove from heat, whisk in baking soda, xanthan gum and castile soap. Let cool completely, mix in essential oil.